Do I need a website to get a professional email address? You want to be professional in your email communication but you’re not ready to invest in a website for your business? Read on. We typically recommend that all small businesses have their own business website, but if it’s really far off your agenda (or your budget), there’s no need to worry. You can have a business email address at a fraction of the cost of a fully-fledged website. Before you can launch a website or set up a professional email address, you need to purchase a domain. Your domain name is what appears at the end of your email address. For example, an admin email on the domain toddsaccountants.com.au may look like this: admin@toddsaccountants.com.au. A domain can cost anywhere from $20 per year for an extension like .space. More popular domains, like .com and .com.au can range from $100-$200 per two years. Make your selection wisely as this is likely to become the name associated with your business for the full life of your enterprise. At this time you may want to consider protecting your brand by purchasing multiple domain extensions. The extension is what comes after the domain name. In our example above, ‘toddsaccountants’ would be the domain name and ‘.com.au’ would be the domain extension. There are hundreds of extensions available for purchase but you’re best to stick to the most popular for basic brand protection; .com, .org and .net. Holding these Top-Level Domains (TLDs) will protect your brand if you want to scale to a national or international level by restricting other businesses from registering the same domain name with a different extension. If you’re a local business in Melbourne, you may want to register the ‘.melbourne’ extension to preserve your brand locally. Once you’ve registered one or multiple domains, you can purchase web or email hosting. You only need to host one domain to get a professional email, so select the one that will give your brand the best online presence. There are two types of hosting: website and email hosting. Website hosting allows you to build and store your website on a secure server for public access by web users. Email hosting simply allows you to create email accounts using your preferred domain name. Web hosting will often include email functionality, which is a great perk if you’re looking to set up your website and email addresses simultaneously. However, if you select email hosting, it’s not the be all and end all. You may not want to set up a website now but there’s nothing stopping you from using the same domain name to set up a website in the future. Once you have your domain name registered, it’s time to host your email account. You can host your email address with Melbourne IT on Office 365 for as little as $9.98 per month. We can also take the technical tasks associated with setup off your hands to save you time (and frustration, if you’re not tech savvy), and have your new email up and running with simple usage directions. 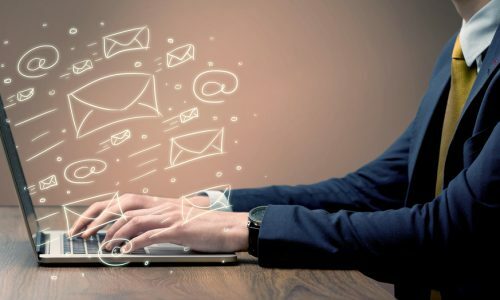 If you’re interested in setting up your own hosted, professional email address, have a chat to one of our online solutions advisors today, or simply make a purchase online.